Our Black Pearl Pebbles are a large irregular, oval shaped pebble with a smooth, polished finish. Whether you’re looking for something tasteful for decorating a grave site, filler for a candleholder or floral arrangement or pretty pebbles for another purpose, you simply can’t go wrong with our Black Pearl Pebbles. 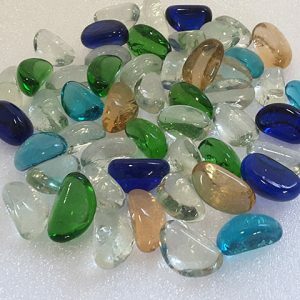 These pebbles are made from rock rather than glass. While they are still perfectly smooth and slightly luminous, they do not reflect the light as dramatically as our Black Glass Pebbles. 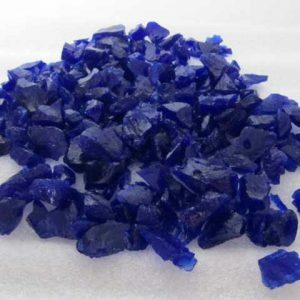 As a result, they lend a more naturalistic quality to arts and crafts projects, home decor, landscaping and memorial gardens. 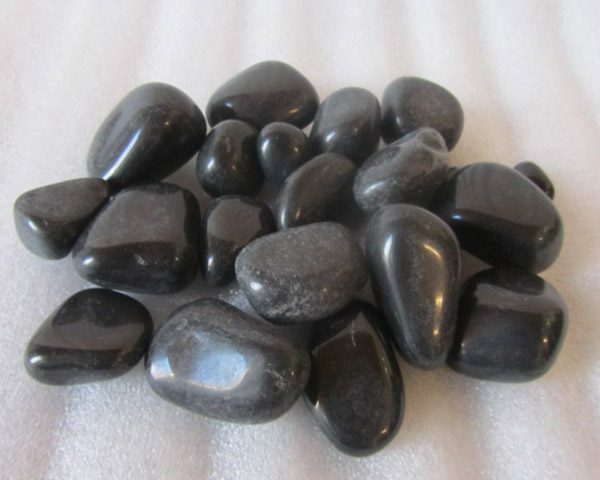 Each assortment of Black Pearl Pebbles will contain a mix of shapes and sizes. Some pebbles are almost perfectly round, while others are more elliptical or kidney bean-shaped. Sizes also vary from as small as about 20 millimetres in length to as large as around 40 millimetres long. We work hard to ensure that each mixture has a nice array of sizes and shapes to add as much interest to projects as possible. You can also expect some variations in colour from pebble to pebble due to the natural properties of the rock. Some pieces are pure midnight black. 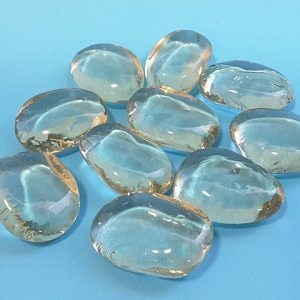 Other stones will have streaks of grey or appear more mottled with grey markings throughout. 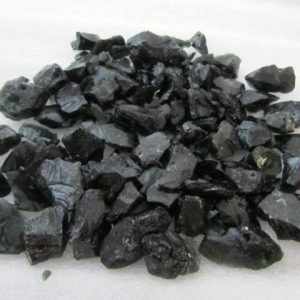 If you’re looking for pure solid black pebbles, be sure to have a look at our Black Glass Pebbles, also found in the Memorial Products department. 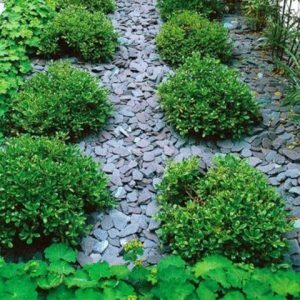 Black Pearl Pebbles are suitable for use indoors or outdoors. Because their colour is completely natural, the black and grey hues will stand the test of time without rubbing off or fading like a painted finish. Even if submerged in water, the pebbles will remain beautiful for years to come, as they are entirely waterproof. 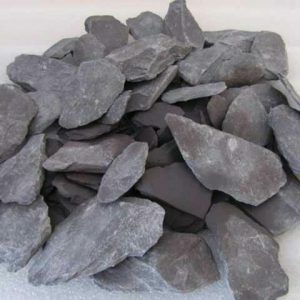 Uncertain how many of our Black Pearl Pebbles you’ll need for a project? 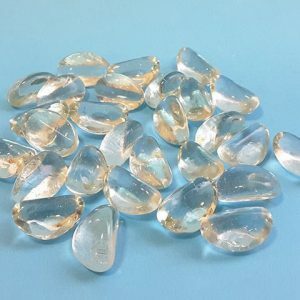 Use the online calculator to estimate your needs, or feel free to contact us for advice about purchasing pebbles for your project.